Experts have acknowledged that the current measles vaccine cannot eradicate measles because of primary and secondary failure.1 Studies have found that the concentration and duration of maternal antibody protection for infants with vaccinated mothers is lower and shorter than protection provided by non-vaccinated mothers,2 and it has been found that a third dose of MMR (mumps, measles, rubella) vaccine cannot boost protection for any length of time,3 leaving most adults unprotected. We have entered a vaccine-era of vulnerable infants and vulnerable older adults—populations that were protected when measles circulated naturally. It’s a messy conundrum, and it cannot be laid at the feet of those who opt out of vaccination. For the vast majority of healthy children who can easily handle a case of measles in childhood, vaccination provides no personal benefit and exposes them only to vaccine injury risk and vulnerability to measles in adulthood. 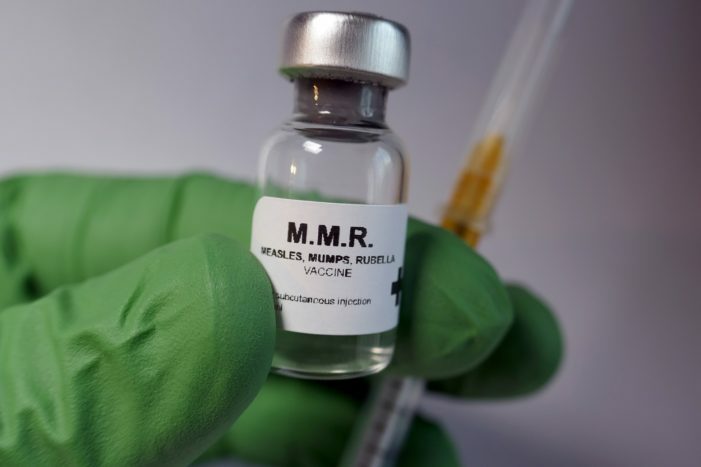 Since industry does not make a single measles vaccine available, that leaves just the controversial MMR that appears to not have had any clinical trials. MMR contains fragmented fetal DNA in the rubella portion, which some find morally objectionable and others medically problematic because of the potential for autoimmunity and insertional mutagenesis.4 As well, the vaccine is highly contaminated with glyphosate from the gelatin,6 and there are no studies showing injecting glyphosate to be safe or how it may alter the immune response to the other ingredients. Add that [MMR vaccine manufacturer) Merck & Co. has been accused of falsifying the efficacy of the mumps portion of their vaccine6 and, Houston, we have a problem. One-hundred percent vaccination uptake would not alter the dilemma of vaccine failure or risk. The World Health Organization (WHO) chose a goal of global eradication before they had a safe tool able to achieve it. Rather than pushing for higher uptake, time and money would be far better spent on implementing rapid diagnosis and notification programs using new technologies to utilize good old-fashioned detection & isolation, researching best and safest measles treatments, and building the basics of healthy immunity in poor communities: clean water, proper sanitation, and adequate nutrition. Note: This article was reprinted with the author’s permission. It was originally published as a “rapid response” piece in The BMJ. Bernadette Pajer is co-president of Informed Choice WA. 1 Poland GA, Jacobson RM. The re-emergence of measles in developed countries: time to develop the next-generation measles vaccines? Vaccine vol. 30,2 (2012): 103-4. 3 Fiebelkorn AP, Coleman LA, Belongia EA, et al. Measles virus neutralizing antibody response, cell-mediated immunity, and IgG antibody avidity before and after a third dose of measles-mumps-rubella vaccine in young adults. J Infect Dis 2016; 213(7): 1115-1123. 5 Honeycutt Z. Glyphosate in Childhood Vaccines. Moms Across America. 6 Solomon L. Merck Has Some Explaining To Do Over Its MMR Vaccine Claims. HuffPost Canada Nov. 7, 2014. 6 Responses to "Wild vs Artificial Exposure to Measles are Not Equal"